How to Preserve and Repurpose Flowers #infographic ~ Visualistan '+g+"
After you’ve preserved flowers, what do you do with them? 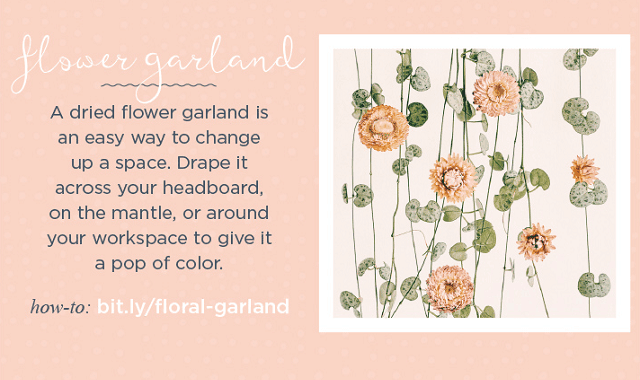 We’ve put together a visual to show you the variety of ways that pressed and dried flowers can be used to freshen up your beauty routine and decorate your home. Whether you want to maintain the shape of the flowers to create a lasting piece of art or bring out their scent in bath bombs or potpourri, the possibilities are endless. Plus, most of these suggestions are fast, easy, and perfect if your friends are the type that appreciate thoughtful homemade gifts.